This is hard proof that a charcoal overcoat and a grey vertical striped suit are amazing when teamed together in a sophisticated getup for today's gentleman. You can get a bit experimental in the footwear department and play down this ensemble by finishing with white low top sneakers. 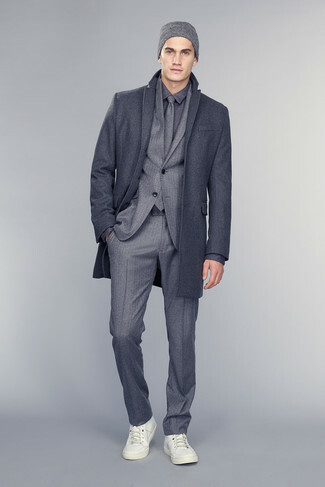 A resounding yes to this relaxed combination of a charcoal overcoat and grey sweatpants! 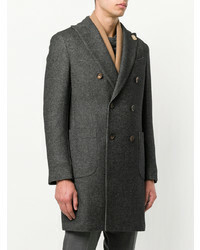 This classy combination of a charcoal overcoat and beige wool dress pants is undoubtedly a statement-maker. If you want to immediately tone down this ensemble with one item, why not complete your look with a pair of burgundy leather casual boots? 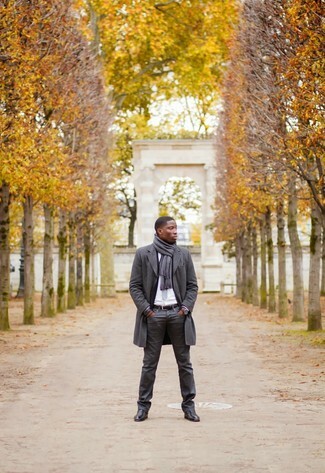 Teaming a Lardini charcoal overcoat with navy dress pants is a nice option for a dapper and polished outfit. To give your overall ensemble a more laid-back twist, why not throw in black leather derby shoes? This polished combination of a Lardini charcoal overcoat and black dress pants is a common choice among the sartorially savvy men. Feeling transgressive? Play down this outfit by finishing with tobacco suede desert boots. 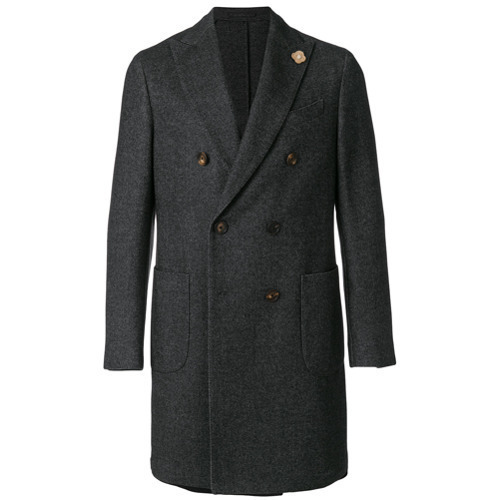 For an ensemble that's super easy but can be styled in a multitude of different ways, consider wearing a Lardini charcoal overcoat and black jeans. 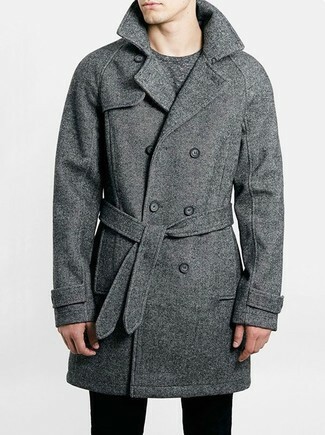 Consider teaming a Lardini Double Breasted Tailored Coat from farfetch.com with charcoal jeans to create an interesting and modern-looking ensemble. 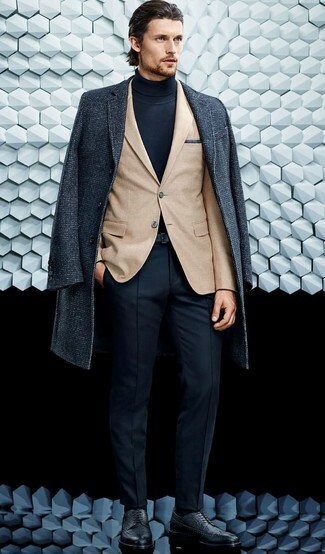 To introduce a little depth to this look, add black leather chelsea boots. 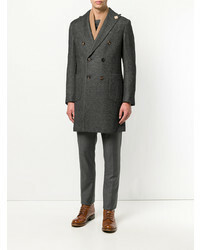 Channel your inner Kingsman agent and pair a Lardini Double Breasted Tailored Coat from farfetch.com with a charcoal suit. Add an easy-going touch to this outfit by finishing with dark brown leather casual boots. 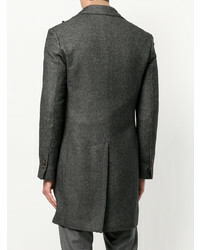 When it comes to high-octane smart style, this combination of a Lardini Double Breasted Tailored Coat from farfetch.com and black dress pants doesn't disappoint. If not sure as to the footwear, go with a pair of tobacco leather oxford shoes.